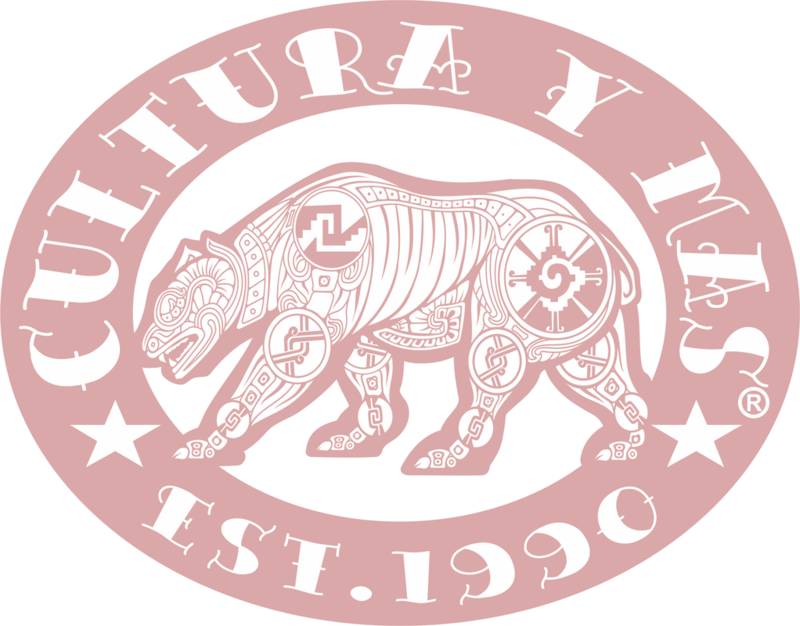 Cultura y Mas is an independently Chicana owned social justice clothing company est 1990. I say we began our company in 1519, when our people where first colonized by the Spaniards. That is when we became a subservient people, educating ourselves is the only way to break free from this mindset. This is why my Mexican culture is the foundation of my company. I strive to educate our youth and other cultures about the richness, diversity and passion that we have as a people. Cultura y Mas is 100% made, designed and created in Cali by Delia Chavez. I draw inspiration and passion every day from my culture and politics that affect my communities.